Participating in the Dallas-Fort Worth Business Group on Health gives you and your company the opportunity to move your health benefits goals to the next level. 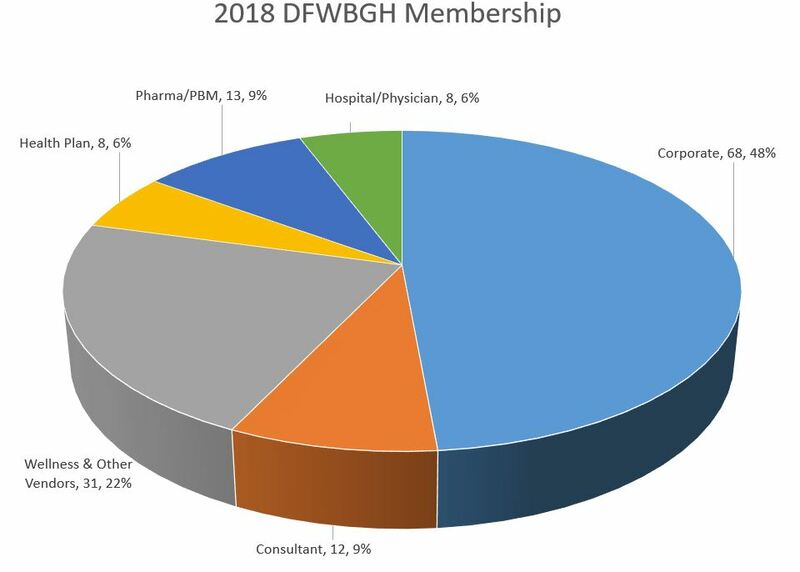 From actionable information to networking with others, membership in DFWBGH provides you with a wealth of benefits. Over 165 coalition members representing approximately 238,071 DFW area employees. Major employers represented include: American Airlines, Texas Instruments, JC Penney Company, BellHelicopter Textron, Inc., and Southwest Airlines, just to name a few.